Two men who work in Las Vegas, Nevada as Bail Bondsmen have been arrested and charged with multiple felonies, including robbery, assault, and grand larceny. John McCabe and Charles McChesney, both of Las Vegas and who work for Boomer’s Bail Bonds, also known as AAABeduation Bail Bonds, have been booked into the Clark County Detention Center. Both men are facing charges for multiple incidents involving robbery and assault. Allegedly John McCabe, who is a licensed bail bondsmen, entered into an agreement with a female client, and later charged funds of $14,000 to the client’s credit cards. Once the client realized what was happening without her approval, she canceled the cards. At that point, McCabe supposedly assaulted and kidnapped the female client from where she was staying, held her against her will, and committed robbery against her for additional funds and property. According to the complaint, the client/victim also states that McCabe handcuffed her, forced her to sign multiple checks made out to him, and was forced to give up her debit and bank cards along with providing the secret pin numbers for him to access all of her funds. After allegedly committing the robbery against his client, the bail bondsmen took her to the Clark County Detention Center in Las Vegas and released her. The bail bondsman is facing multiple felony counts of robbery and assault among others for this incident. McCabe, continuing to work in Las Vegas as a bail bondsman, was supposedly involved in another incident in which he apparently kidnapped, assaulted, and robbed another female client, forcing her to sign over her power of attorney right to him, was forced to provide monetary funds, and sign multiple legal documents that he demanded of her. A third alleged incident involved both McCabe and fellow Las Vegas bail bondsman McChesney during 2011. During this time period, both Las Vegas men said to have intimidated a female client by breaking down the door of her residence, entering her residence, robbing her of property and money, held her along with her three small children against their will at gunpoint until the client gave up desired property, along with signing over her legal power of attorney to both bail bondsmen, along with several other documents. As a result of these three incidents and filed criminal complaints, John Kevin McCabe, age 61 has been charged with 19 different felonies. The aforementioned business that he operates, is legally called Justice, Inc.
Charles McChesney, age 49, works for McCabe and has been charged with multiple felonies in the criminal complaints for his part in the illegal activity in which both men were involved, including grand larceny, illegal home invasion by use of force, burglary, along with illegal use of a deadly weapon. McCabe was arrested and taken into custody on Monday, while McChesney turned himself in to authorities on Wednesday. 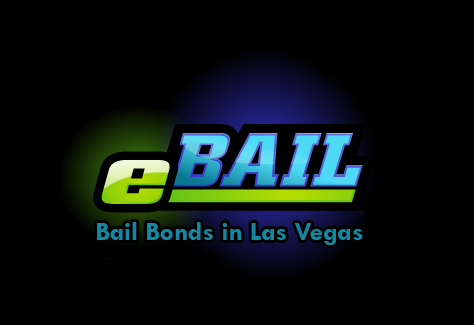 Both are licensed bail bondsmen in Las Vegas.